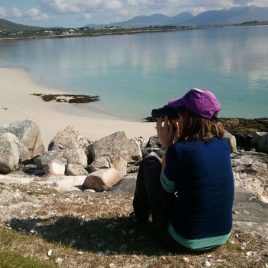 The Ecology Centre, in Letterfrack, is an exciting educational centre, that engages individuals, families, and students in fun, hands-on activities that teach appreciation of the landscape and cultivates respect and wonder for nature in Connemara. Our mission statement is “To offer world-class training for professionals in ecology and to educate the wider public fostering respect and wonder for the natural environment”. We support several conservation projects in various capacities. We aim to run more conservation projects in partnership with businesses under the Biodiversity Action Investment arm of the business. Tuesday and Wednesday bogs and beaches walks all summer with The Ecology Centre. See website for more information.